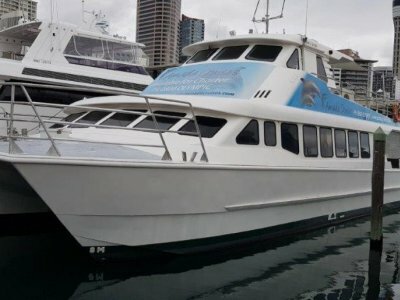 AU $750,000	reduced Need Finance? 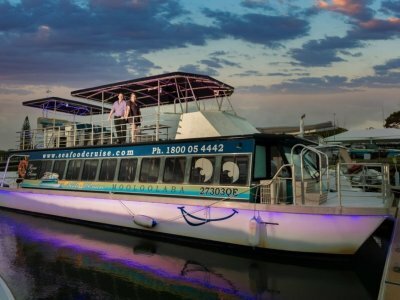 AU $750,000	reduced Need Finance? Need Insurance? 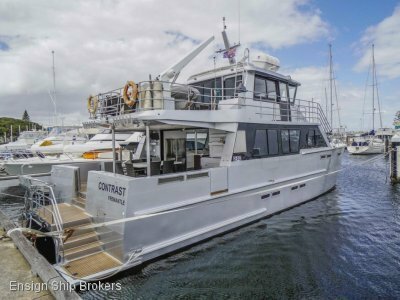 This glamour snorkelling and diving charter vessel is in survey for 52 and has had a full respray from water line up in March 2013. Also, her shafts where pulled and balanced as well as the props, windlass removed and overhauled, new aqua decking, soft tread decking on bow and flybridge. There was some internal upholstery work at a cost of $250,000 approx in March 2013 + the $400,000 odd dollars spent in mid-2012. Economical for its power and speed. New in June 2012 – Twin 620Hp Scania (Port motor replaced again in 2016) with new stainless steel exhausts cruising at 20-22 knots. Power aboard is supplied via two systems either the New in June 2012 40 kva 3-phase generator, 415v, 240v 24v & 12v. 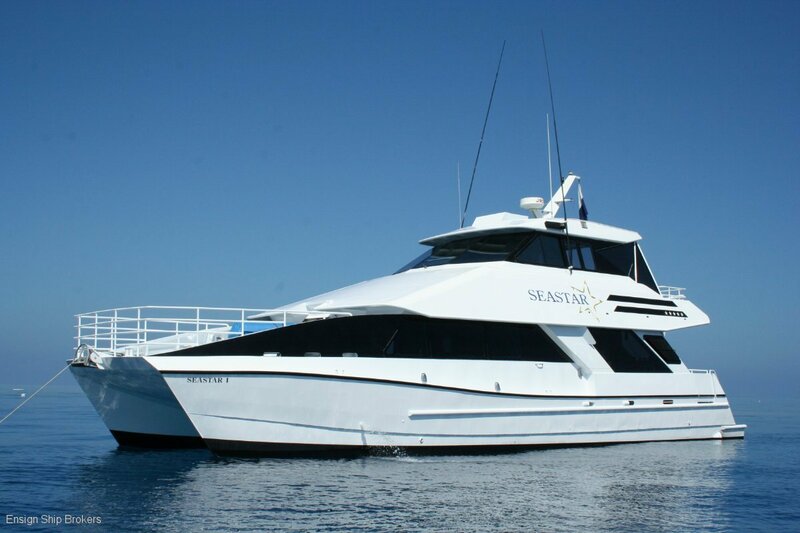 Or the huge 240v inverter system running off 9 x 265 amp hour battery bank capable of powering vessel for 5 hours. Bauer dive air compressor recently fully overhauled. Instaboil water heater for hot drinks new in June 2012 DVD and monitors, two new air-conditioning units fitted to flybridge late 2012, lower cabin air conditioner reconditioned in June 2012. 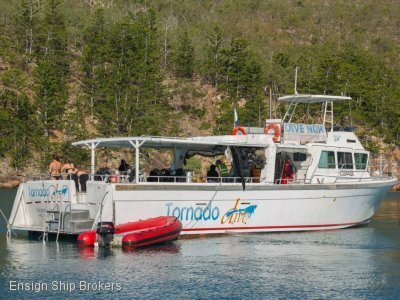 Vessel is in current QLD survey for 52 and set up for snorkelling and diving with two large ladders of the aft for easy access to the water. props have been dynamically balanced to within 1 gram, air conditioning has had a major service with some parts replaced or rebuilt. The vessel has had interceptors fitted to increase speed and fuel economy.